2. 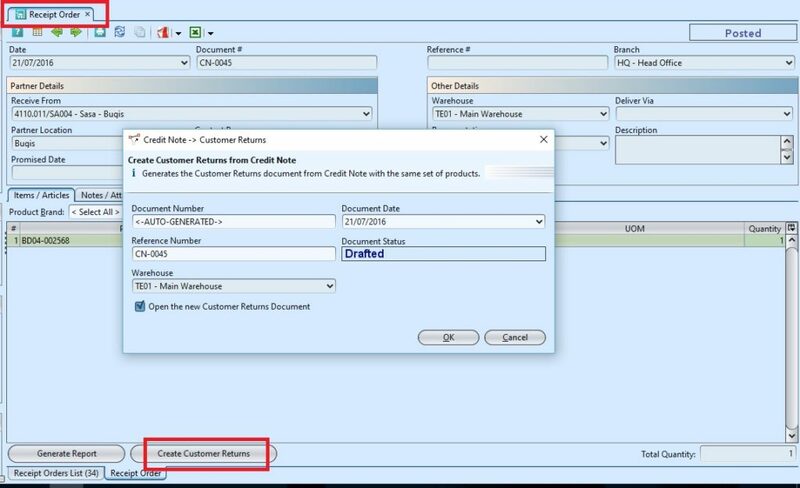 User may edit the customer return’s information, for example quantity to be return is different from the ordered quantity, and to enter reason for the return in the description, e.g. damaged items. Update the information and click “Save” to save the changes. Click “Enter” or button if the user edited the products’ information in “Items/Articles” tab. 4. 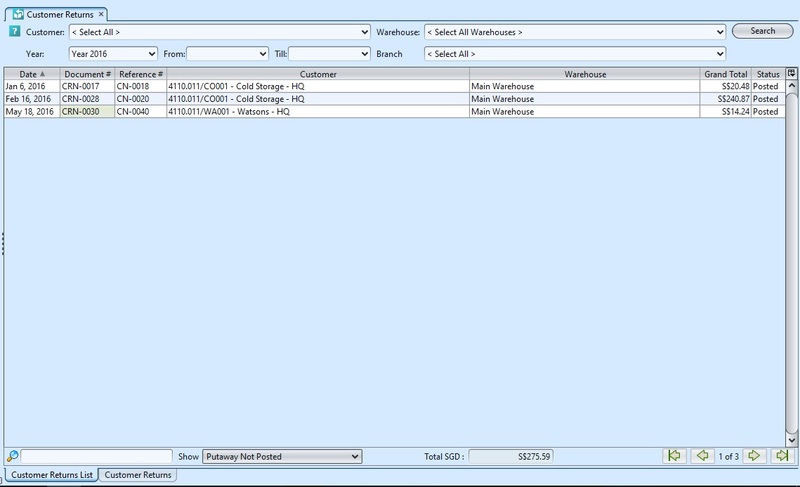 Click on “Notes / Attachments” tab at the middle of screen to add notes or files attachment for the customer return. 6. Click on “Post Customer Returns” button at the bottom of screen to post the customer return. 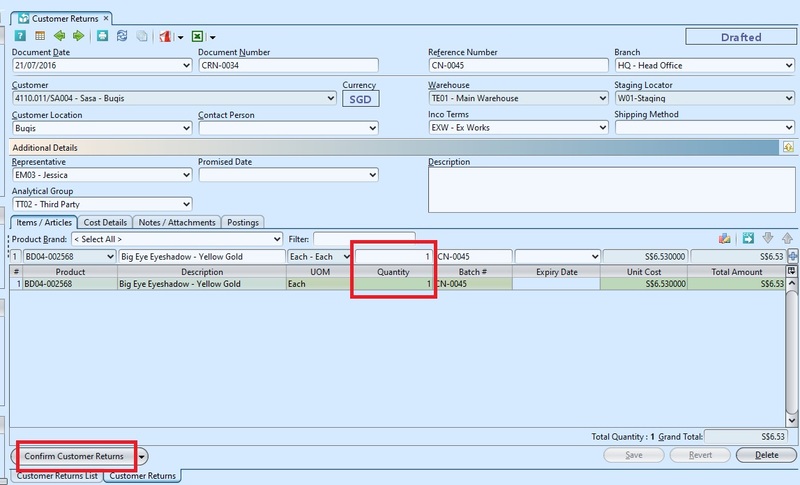 After posting of the customer return, inventory journal entries will be automatically generated at the “Postings” tab. 8. 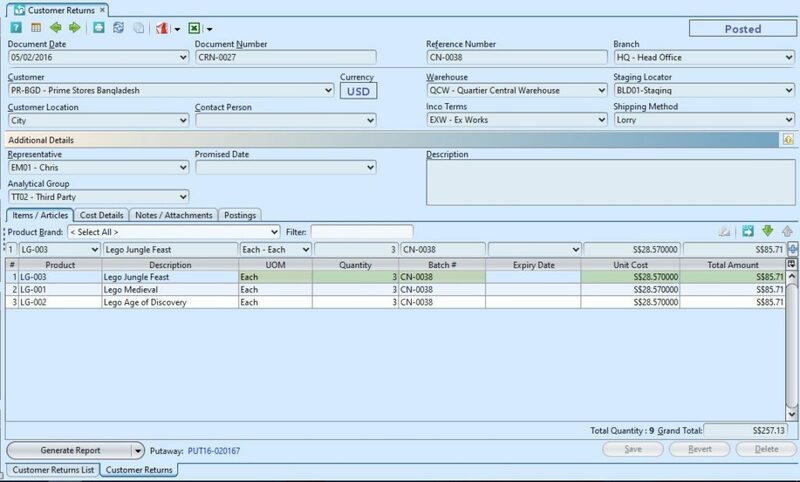 The putaway for the items will be automatically generate after posting of the customer returns. 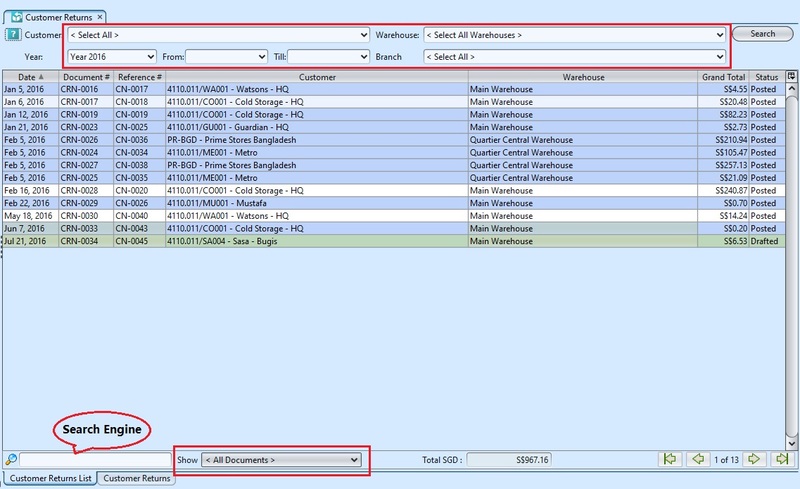 Click on the “Putaway” link beside the button to view the putaway document & process it. 7. Click on “Post Customer Returns” button at the bottom of screen to post the customer return.